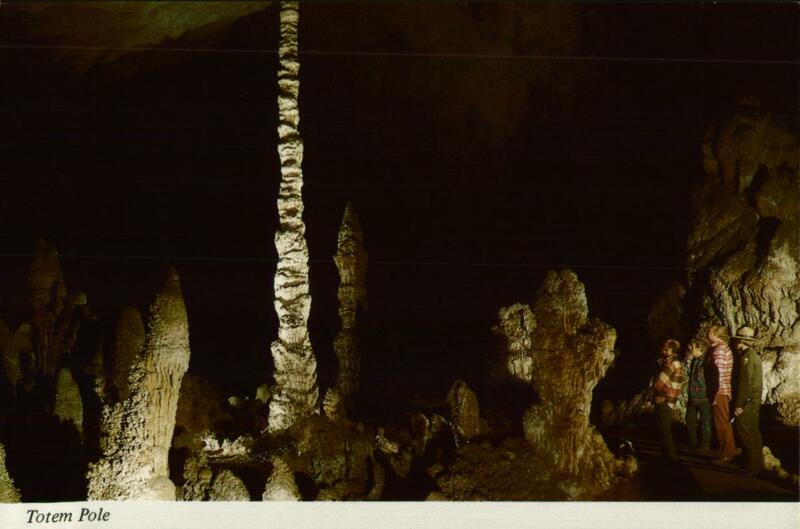 Frances, Leonard, Susanna, Rachel and I walked into the Carlsbad Caverns today and really enjoyed the tour. It was quite fantastic and very immense. 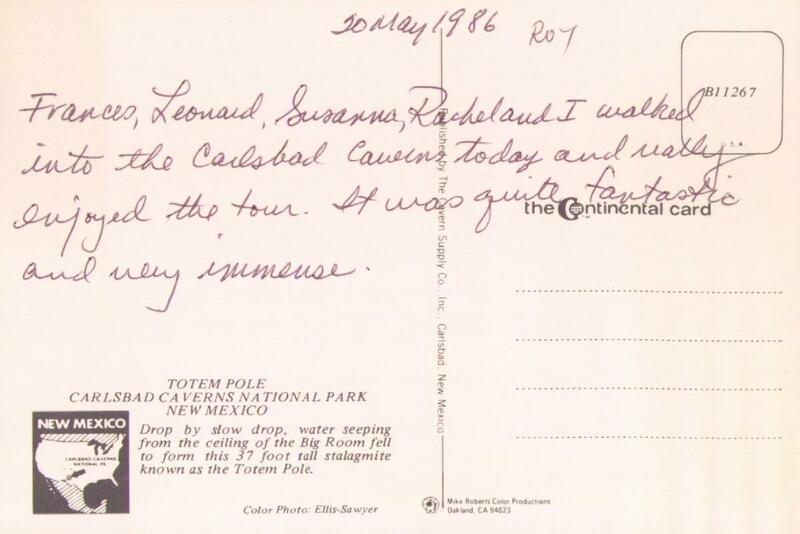 Drop by slow drop, water seeping from the ceiling of the Big Room fell to form this 37-foot-tall stalagmite known as the Totem Pole. If you go to Carlsbad, be sure to stick around for the flight of the bats.